What It’s About: When his girlfriend’s daughter dies of a drug overdose, Paul Kersey gets mad. If the three previous movies have taught us anything, it’s that a mad Paul Kersey is a murderous Paul Kersey. L.A.’s drug cartels are going to are about to overdose on lead. Why Watch It Today? : On October 19, 1982, automaker John DeLorean was charged with conspiracy to traffic 55 pounds of cocaine (about $24 million worth). DeLorean was eventually acquitted of all charges, largely based on his entrapment defense. The financial troubles that lead him to accept the deal continued though, and when found guilty of fraud he and his company were through. To a vigilante, there’s no such thing as entrapment. It’s a good thing for DeLorean that no one like Paul Kersey came after him! 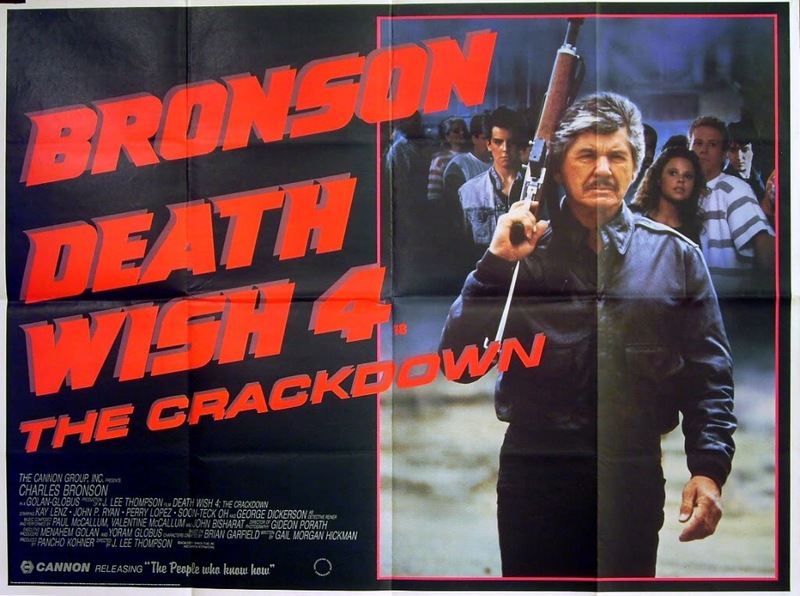 This entry was posted in Action, Crime, Movie of the Day, Revenge, Sequel and tagged Cannon, Charles Bronson, cocaine, drug dealers, drugs, drugs are killing our kids, Los Angeles.